Matt Maran is a professional wildlife photographer, publisher and podcast host. He got into photography at 13 when he visited a friend’s darkroom and watched her process and print her own black & white photographs. It felt like magic watching the print appear in the developer and after that, he was hooked. 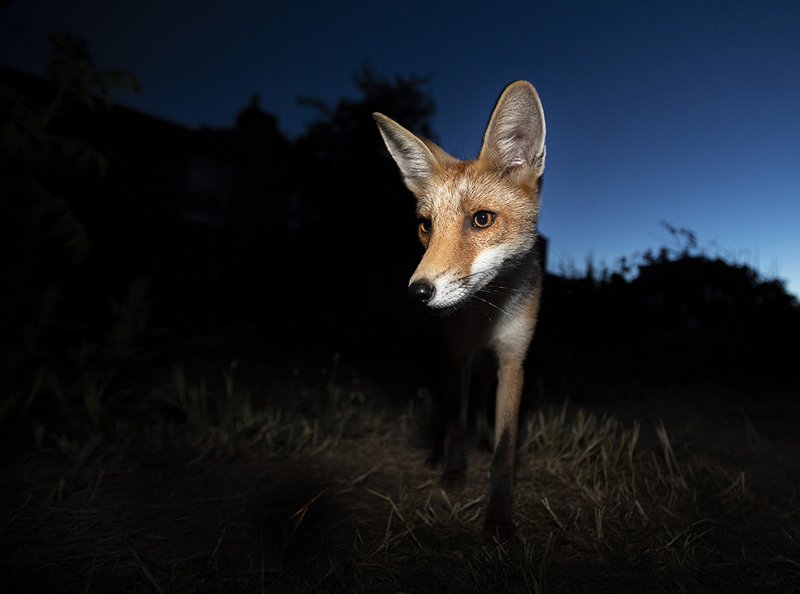 Matt is taking over our Instagram feed for a week (7 to 13 April, 2019), sharing a collection of his compelling wildlife images. We caught up with him to find out more his photographic practice. You've published three books, one on Vancouver Island, one for Clinton Devon Estates (which wasn’t for sale to the public) and your most recent being a tribute to London's Hampstead Heath. What have you discovered about your photographic practice during these longer term projects? I love making books. It forces you to think about your images as a tool for telling stories. There are many limitations with books such as the size, format and paper choice meaning not every image works. You have to think long and hard about layout and design so it’s also a good idea to work with great designers and editors. Long term book projects allow me to get under the skin of the subject or location rather than just scratching the surface. This way you end up getting a stronger portfolio set of images. Alongside creating wonderful images, you also run a podcast where you interview a range of creative professionals, including photographers, publishers, editors, designers and conservationists. What was it that inspired you to start this series? I love listening to podcasts and thought one day I’d like to host my own. When I had the idea to launch one there wasn’t a great deal out there that talked about photography, conservation and how to make a living in the creative arts. I’ve had so many conversations with friends and colleagues about photography that I thought it would be good to create a resource for young people or those looking for a career change and are interested to discover what it takes to make a living and tell a story. Nature photography can be a solitary business so I thought it would be interesting to shine a light on the photographer and hear their stories and journey in more depth. What do you think is the most exciting trend right now in the photography world? Every year there are groundbreaking images entered into photography competitions and National Geographic still sets the tone for incredible natural history imagery. I particularly like wildlife photographed with a wideangle lens. It offers a fresh perspective and can show the animal in its environment more clearly than a telephoto lens. Has Instagram benefitted your photography? Instagram is a great platform for photographers. In fact more people are visiting my Instagram account than my website. Whilst I think the power of an image is lost on the small screen the potential audience is huge, so it’s a great way of sharing your work. I’m now also accountable to an audience so there’s a bigger incentive to always be shooting fresh content. What is it about wildlife that captures your imagination? I think animals’ capacity for survival and all the adaptable behaviours each species exhibits to suit their environment is amazing to observe. Wildlife watching fascinates me because we can’t truly communicate with animals, so much of what we have come to understand is by simply watching. Photographing animal behaviour is a fabulous way of watching wildlife as you need to spend a lot of time in the field and learn and understand animal behaviour to capture interesting and intimate shots. You've won numerous awards for your work and have enjoyed a number of exhibitions. What key piece of advice would you give to aspiring wildlife photographers? The first piece of advice I can give to aspiring wildlife photographers is to take pictures of subjects that are accessible and habituated to human activity. This way you stand a better chance of honing your photography skills with an animal that won’t fly away at first sight. Secondly always follow your passion and be patient, it takes a long time to build a portfolio of work that will get you recognition from editors, competitions and magazines. Look to see what else is out there and try shooting something different from a new perspective. Even though the world is saturated with pictures they still have the capacity to inspire, so don’t give up!